Welcome to the Found & Foraged Linky Party. We are so glad you stopped by! 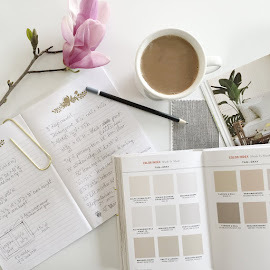 Found & Foraged is a place for bloggers to show off their creativity and how they’re using found and foraged treasures to beautify the spaces around them. 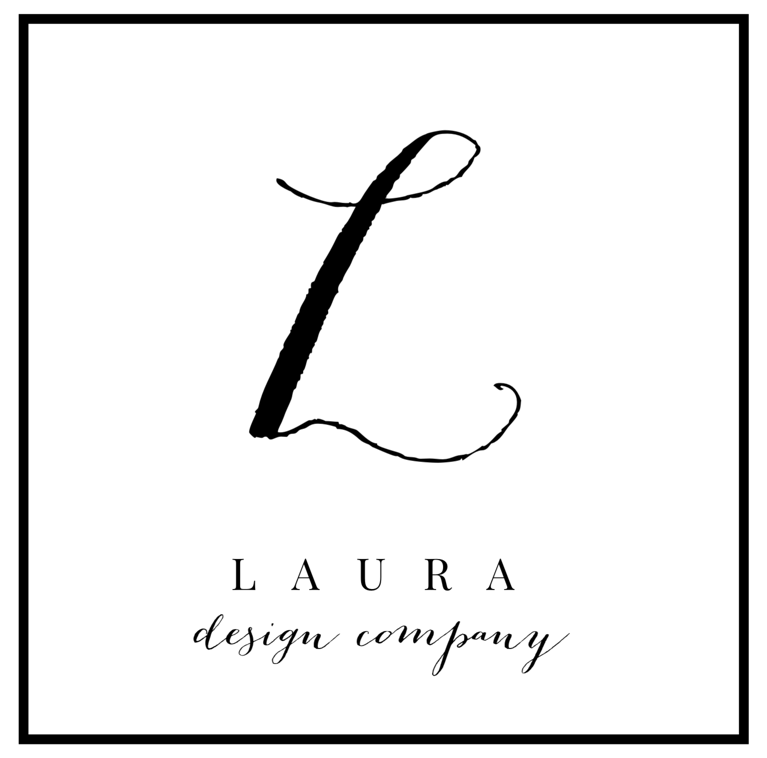 Link up your DIY’s, house projects, vintage finds, shopping scores, upcycled projects, foraged decor, and anything else you’re working on! 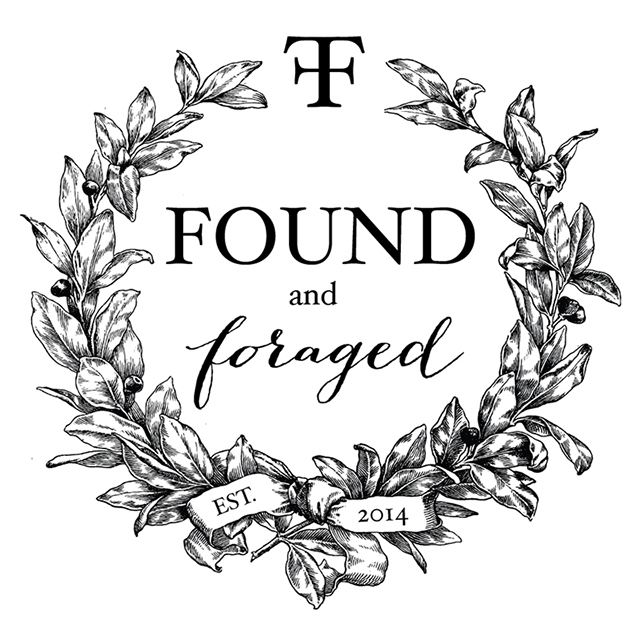 What exactly is Found & Foraged? For those of us who don’t have infinite budgets, we sometimes have to search high and low to make our homes beautiful. Found & Foraged is for all those things you've found – vintage pieces, curb alerts, clearance treasures, thrift store gems, and those that you've foraged – from the yard, the basement, the in-laws garage, the garden, and to show off how you've made them a beautiful part of your home. We will be hosting this linky party every Saturday at 8PM. So be sure to add us to your calendar and check back weekly to add your links and party with us. 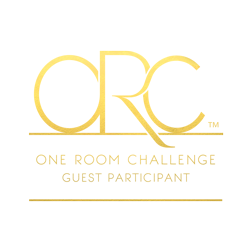 Since this is our first link up, we will feature a post of what we've been working on, and the unique take that each of us has on the theme. Grace at The Big Reveal Found and Foraged herself a beautiful mantle that even made Nate Berkus happy (it's so cool when Mr. Berkus himself retweets you!) 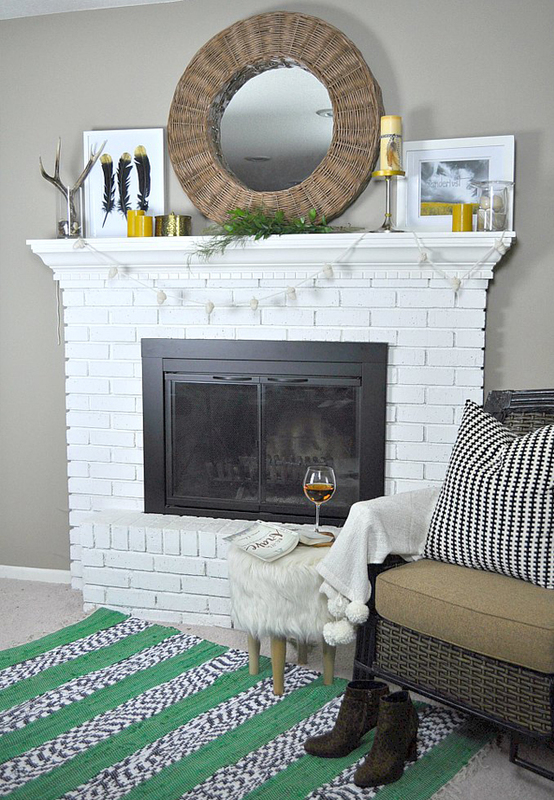 She shopped her house and used only what she already had on hand to style it, and the transformation is fantastic. 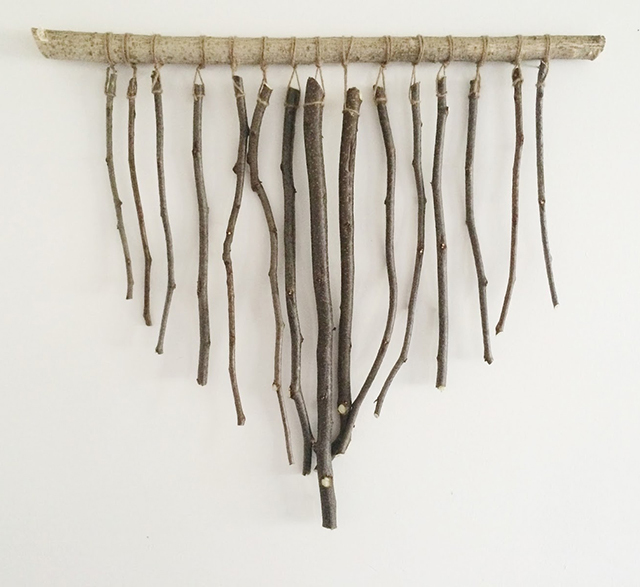 Laura at Avery Street Design took "foraging" literally and used yard clippings to make this DIY Branch Wall Hanging . 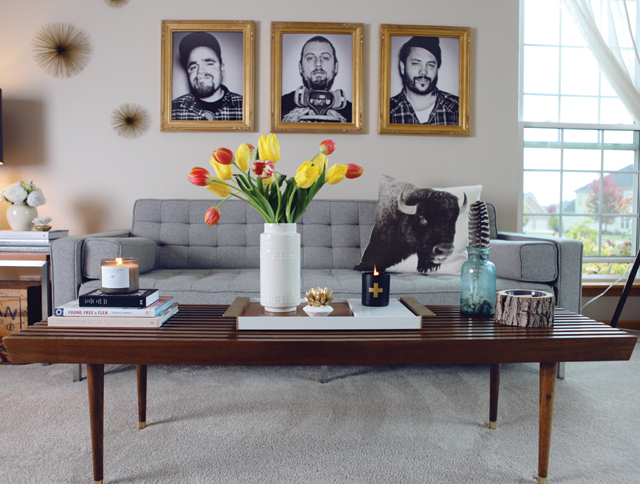 Kyla from House of Hipsters is the queen of "finds"- she finalized the styling on her front room with collected vintage treasures and finds from off-the-beaten-path makers, giving her home an eclectic and unique feel. Here is the tour. We can't wait to see what you've been working on, and are excited to feature our favorites next week! And don't forget, if you don't have a blog (or even if you do), you can still join in on the fun by tagging your pictures #foundforaged on Instagram. It's a beautiful and growing feed that we're so inspired by. Until next time! Mandee, I'm so glad you linked up!! Thank you! This was so fun. Great projects! Thanks for the party!!! Summer, it was so sweet of you to come by! Yay, thank you so much Kim! This was so fun and I'm amazed by the turn out. Thank you for linking up!! I'm so glad you came by Katherine! I can actually attest to the fact that the food was delicious because, unlike other hosts who I hear never get to eat a bite, there was a staff member by my side every so often kindly reminding me to eat!